An American poet known for her unconventional use of form and syntax, Emily Dickinson (1830–1886) wrote nearly 2000 poems, most of which were published after her death. Claiming that she saw “New Englandly,” she rarely left her home in Amherst, Massachusetts. 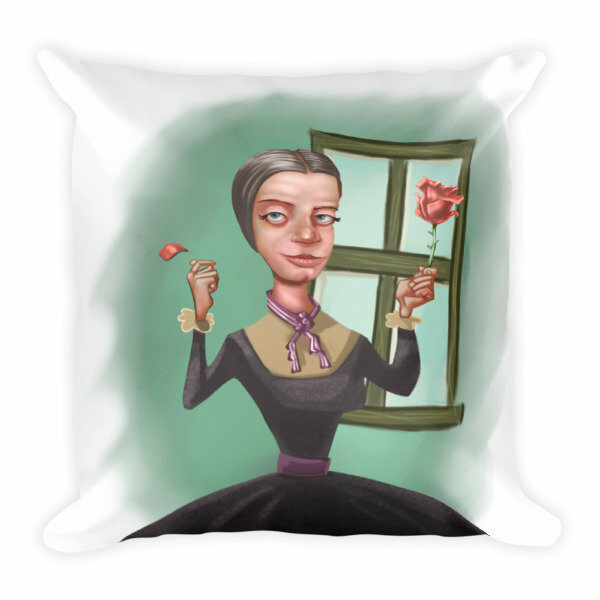 This soft pillow is an excellent addition that gives character to any space. It comes with a soft polyester insert that will retain its shape after many uses, and the pillowcase can be easily machine washed.